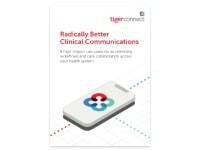 Advancing well beyond secure messaging, TigerFlow delivers a sweeping, first-of-its-kind, workflow-centric clinical communication solution that brings together an enterprise-wide platform, integration with clinical systems of record, an engaging user experience, and intelligent workflow mapping for better care team collaboration. SANTA MONICA, CA (October 20, 2016) – TigerText, the nation’s leading provider of clinical communication solutions for the healthcare industry, today unveiled TigerFlow, the most advanced and comprehensive solution of its kind on the market. The new offering reaffirms TigerText’s vision and deep commitment to solving the clinical communication challenges that compromise patient care and cost the healthcare industry billions of dollars each year. Relied on by many of the largest health systems in the country, TigerFlow combines its mobile communication platform with data integration capabilities, end-to-end workflow consultation services provided by TigerText, and on-demand data analytics to help healthcare organizations accelerate adoption, increase productivity, reduce hospital costs, and improve patient outcomes. As the industry shifts to value-based care, legacy technology systems designed a decade or two ago are proving increasingly inefficient and are challenging healthcare organizations to provide both the desired level of patient care and achieve profitability. The rich capabilities built into the TigerFlow solution allow the TigerText application to ride atop these systems, centralizing siloed patient information into a single, easy-to-use, mobile-friendly ecosystem that aggregates information that would otherwise only be accessible through disparate modalities or workstations. To ensure efficient clinical collaboration and maximum throughput, TigerFlow introduces new features that help physicians, nurses, and support teams quickly identify specialists and communicate more efficiently, thus reducing the number of steps needed for frequently performed tasks. Roles – The new patented Roles module in TigerFlow makes it easier for staff to look up and message on-call specialists without referencing a computer, whiteboard, or printed schedule. This feature speeds up communication cycles and eliminates errant calls to off-duty employees. Roles makes it easier to coordinate shift assignments and transitions of care. Staff can also use Roles to build custom care team groups around a patient or room. This facilitates more informed patient handoffs during shift changes since each new person entering into the role has access to discussions hosted by the previous person on duty. 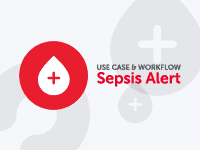 Schedules & Calendaring – TigerFlow’s integrated scheduling capability allows hospital staff to quickly look up the on-duty or on-call specialist for expedited clinical care across teams, while calendaring provides staff with visibility into future shifts for more effective planning. Click-to-Call – With embedded Click-to-Call, users can initiate phone calls to colleagues with a single tap from a message thread or user profile, saving valuable time when trying to reach care team members such as specialists, primary care providers, nurse supervisors, pharmacists, or others. It also shields phone numbers for privacy, respecting a common preference among physicians. More than any other vendor in the space, TigerText has invested heavily in building an extensive support services organization to work side-by-side with clients at every phase of the customer lifecycle. Implementation Services – This team of subject matter experts works with key stakeholders to design and manage a tailored implementation that includes select integrations and configurations. 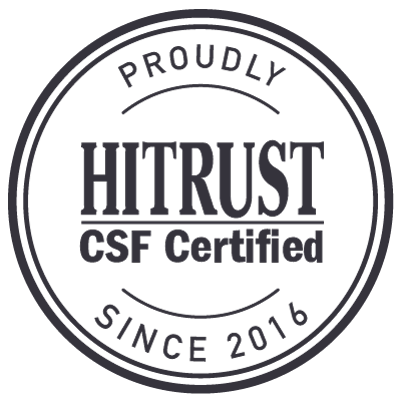 Initial and sustained end-user and administrator training ensures the organization experiences immediate value from its investment across the healthcare enterprise. Customer Success Management – Immediately following the implementation process, a team of best practice experts consults with customers to identify new ways to streamline communication workflows and accelerate care delivery through quantitative measurement. 24/7 Customer Support – To keep end user and admin productivity high, TigerFlow customers receive 24/7 support to resolve incidents and help prioritize, escalate and track cases through completion. High user adoption remains a critical component in helping customers achieve game-changing ROI. TigerFlow offers the most advanced adoption tracking and data analytics platform among clinical communication solutions. By aggregating data and establishing benchmarks among the industry’s top performing organizations, TigerText’s success managers develop a comparative scorecard that gives customers a way to identify opportunities for improvement by role and department to help maximize adoption, user engagement, and message volume. Through these combined forces of product integrations, support services and analytics, TigerFlow helps organizations deliver higher quality patient care, realize measurable cost savings, and improve the lives of hospital staff. TigerText already saves customers tens of millions of dollars through optimized workflows and improved revenue cycles. Most importantly, it helps drive better patient outcomes. 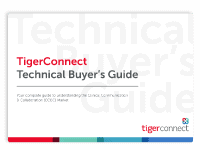 To learn more about TigerFlow or to schedule a demo, visit tigerconnect.wpengine.com.